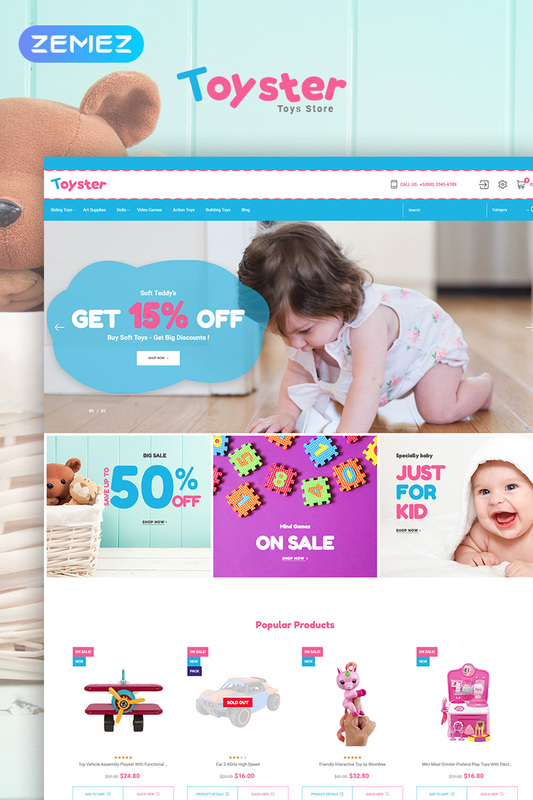 Toyster is the updated classic theme from PrestaShop for a toy store. The design is simple, but at the same time, it has everything to focus on clients' attention on products. Moreover, it's not an issue for the customer to find any product thanks to header mega menu that makes the navigation simpler. There is a great collection of modules, Multilingual and multi-currency support, Compare products and Shopping cart blocks etc. Hit the Live Demo!